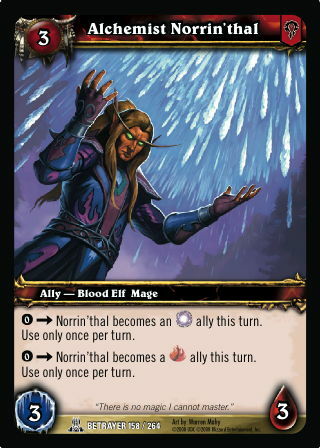 Rules: 0 -> Norrin'thal becomes an Arcane ally this turn. Use only once per turn. ; 0 -> Norrin'thal becomes a Fire ally this turn. Use only once per turn.